The wait is finally over. Pink Icing Bakery has opened. The long-awaited bakery has been teasing Sunnyside residents for more than two months now. First, Sunnyside Post said it would open the first week of March. Then, Pink Icing’s sign went up some time in April. Then, I saw a “we’re hiring” sign a few weeks later. As of yesterday, Pink Icing is in business. Nestled between a fish market and Mr. Wonton Chinese food eatery, Pink Icing (which took over a failed Indian restaurant’s space) is just a few doors down from The Sugar Room baking supply store, which is owned by Juan Arache, the man at the helm of the much-anticipated bakery. So, what exactly does Pink Icing offer? Today, when I visited, they had mini and full-size key lime pies for a few bucks. There was also a pecan pie and what looked like an apple crumb pie (both in mini and full-size form). But the real attraction here is the cupcakes. Available in big and small portions, the beautifully decorated cupcakes–at a fair $2 price point–are delicious. Without a thick slather of icing (who can bear that?) but rather a delicate application of it, the small cupcake has the ideal balance of frosting and cake. Moist and not-too-sweet, the vanilla cake was just right. I can’t speak for the larger cupcake, but, based on what I saw, I believe it mirrors the perfection of the smaller cake–just more of it. 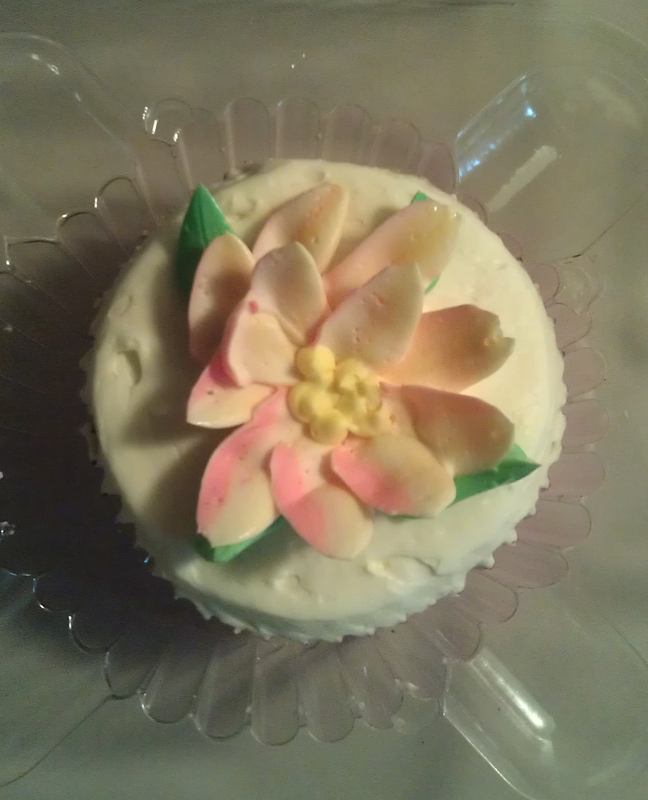 In addition to the decorated, vanilla cupcakes, Pink Icing serves up red velvet cupcakes, in both large and small sizes. The woman ahead of me ordered a red velvet small, and I envied her. I’ll have to go back and try it. But, then again, I want to try everything at Pink Icing. Though the space is cozy, there’s room for a handful of tables and a countertop with stools. Several customers milled around the bakery, talking over coffee and cupcakes and enjoying the morning. It seems as though Pink Icing has already become a hallmark of the neighborhood in the mere two days it’s been open. I sincerely hope Sunnyside residents partake in the wonder that is Pink Icing. After all this time–the waiting, the hand-wringing at the closed door–Pink Icing has finally arrived. Hopefully, to stay for a long time. Do I think Pink Icing is a destination bakery? We’ll have to see. The cupcake trend in New York has certainly died down (is it fried pizza that everyone’s fascinated with now? 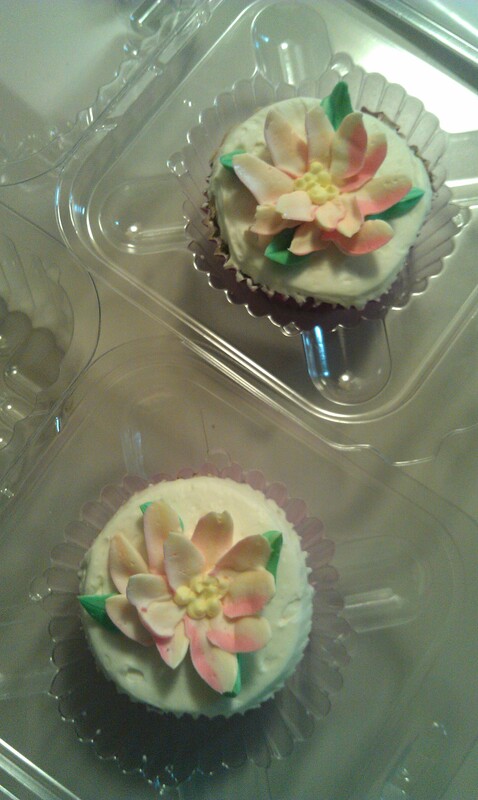 ), but the cupcakes are so good–and so cheap!–that it just might attract the non-Sunnysiders. Pink Icing is open until 8 p.m., which gives the Manhattanites who frequent Salt and Fat just enough time to grab dessert (before a late dinner, perhaps?) prior to heading back to the city. If you’re in the neighborhood, try Pink Icing. It’s the kind of cupcake that wholly satisfies the body and soul. You don’t want to miss out. Take the 7 to 46th Street and walk west for two blocks on the north side of Queens Boulevard. Do check out The Sugar Room, too! Keep Your Ey-eyes Open for Taylor Swift’s New M.O.